I am now 66, kyoshi 7th dan and resident in the UK, I manage to get to keiko at least three times a week and normally every other weekend gets swallowed up by refereeing at taikai or teaching at seminars or sitting on grading panels. Very often people ask questions that there is not time to answer in the dojo, so setting up a blog to cover these seems the ideal solution. 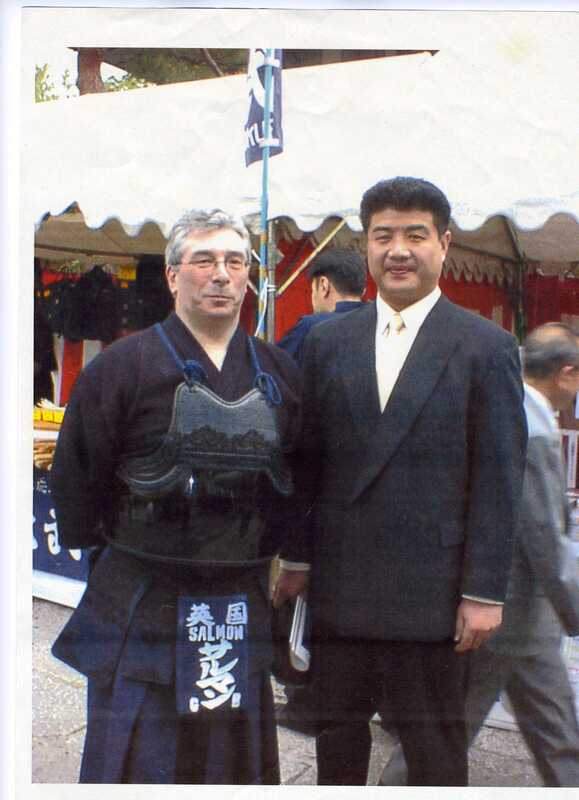 I originally started kendo in England and competed in shiai at every opportunity. I represented the UK in the 3rd World Kendo Championships, which gave me the opportunity to see the Japanese team and their sensei in action. Within six months I moved to Japan, where I spent 3 years working in advertising and training in Osaka and Kobe. In Osaka I attended the Shudokan and practiced at weekends in Kobe, mainly in Oji dojo. For the second half of my stay, I was lucky enough to also join the practice club of Matsumoto Toshio sensei, 9th dan. This was a seminal experience as Matsumoto sensei was significantly ahead of his time in taking a systematic approach to kendo teaching and explaining theory in detail. I also beneffited from the help of sensei such as Nishi and Ikeda and over more recent years, Sumi, Arima, Chiba and Uegaki Isao. I am still in contact with these and many other teachers and I try to visit Japan once a year. I have taken part in the Kyoto Taikai four times. I do not read or write Japanese although I speak and understand it to a reasonable level. Everything I have learned has been through listening, often over a post keiko drink, so I think the time has come to write some of it down. My plan is to look at various aspects of kendo and to indulge my thoughts on technique, training, reigi etc., If anyone finds it useful or interesting I am glad to share, otherwise it is an opportunity for me to bang on without being interrupted.